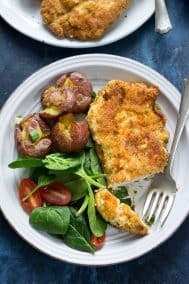 This delicious post is sponsored by The Perfect Paleo Powder and all opinions are my own. 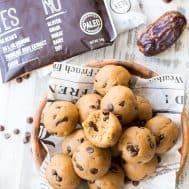 These tasty no-bake Paleo cookie dough bites are made with real-food ingredients, sweetened with dates and bananas and pack a punch of Paleo friendly protein along with the taste and texture of chocolate chip cookie dough! Somehow January flew right by and along with it – the January Whole30! While I eat about 90% paleo anyway, eliminating treats and getting back to basics for a solid month always feels so good, especially when it’s needed after the never ending holiday season. 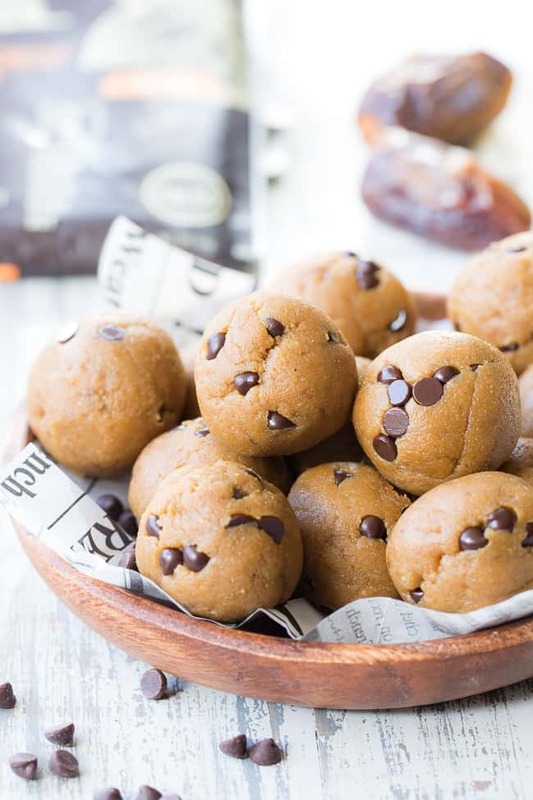 And, these treats are a pretty perfect way to transition (slowly) back to a little something sweet here and there – they’re sweetened with fruit and pack a big punch of healthy fats, fiber, and even protein too! 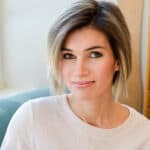 One of the most frequent questions I get is regarding protein powder – which ones are Paleo and what can I use if I want to keep things Paleo and still get everything I need?! This is especially true for those of you who workout regularly and need pre and post-workout fueling and recovery options. You can choose from the pre-workout formula, post-workout, fat loss, and digest and rest formulas (love that last one!) 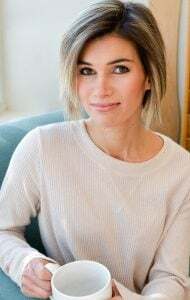 and know that you’re giving your body exactly what it needs – nourishing your muscles, restoring your metabolism, boosting your energy levels and feeding your body to truly thrive on a cellular level. 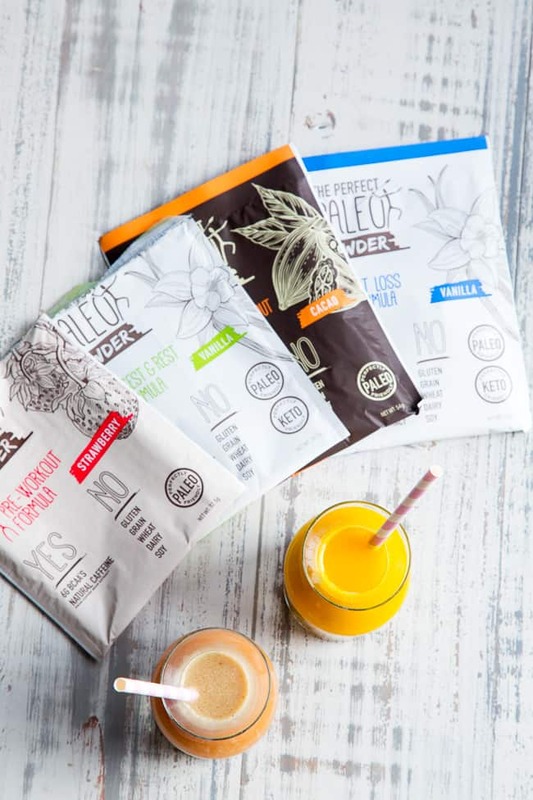 The Perfect Paleo Powder takes whole food ingredients found in nature and combines them with pharmaceutical grade supplements using cutting edge science to not just recover your health, but to optimize it and allow you to perform better! Plus, you have yummy flavors to choose from – because yes – that’s important too! 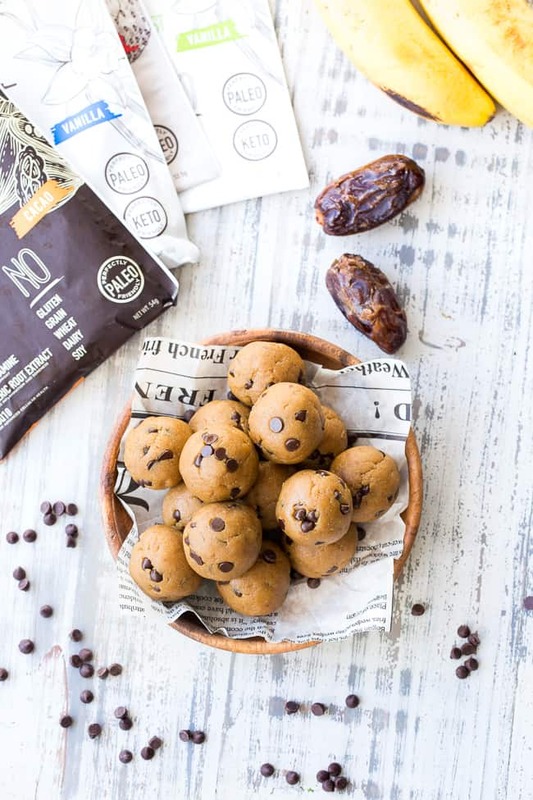 And, even more fun to get creative with how we get our protein in – to get back to those cookie dough bites! 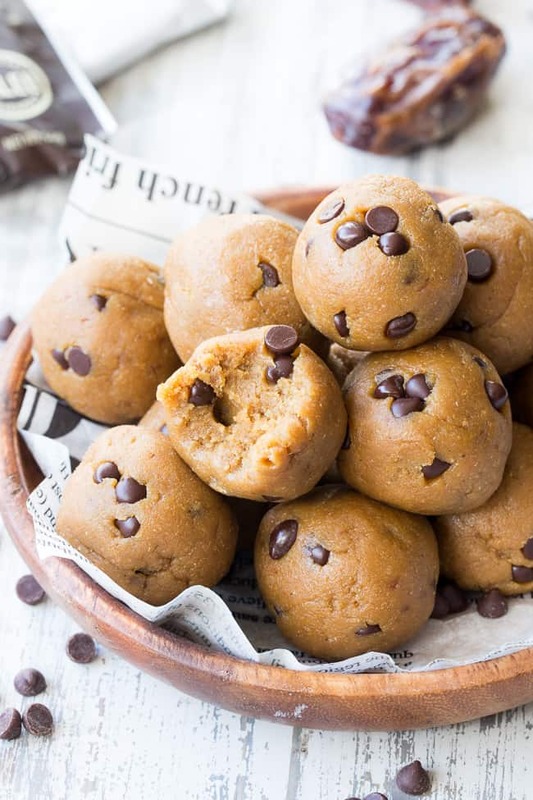 You can whip up these cookie dough bites in about 5 minutes using a blender, chill, roll into balls and indulge! 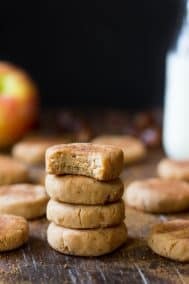 The dates and nut butter help give them that perfectly doughy texture and dreamy flavor. They keep in the fridge for several days so you can grab one whenever you need a little boost. 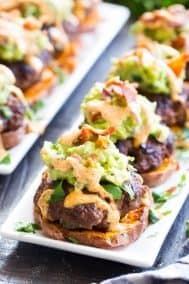 Perfect as a post workout snack option with healthy carbs, fats, and protein. 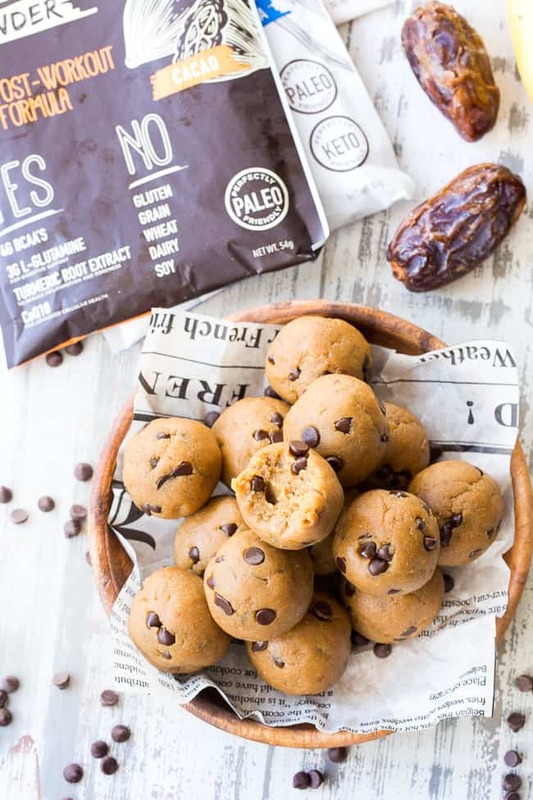 I hope you’re ready for the tastiest little Paleo cookie bites – grab your blender and let’s go! 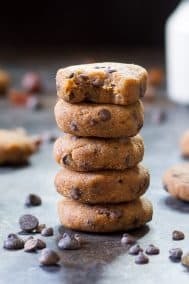 Place all ingredients EXCEPT coconut flour and chocolate chips in a high speed blender or food processor, and blend until creamy. 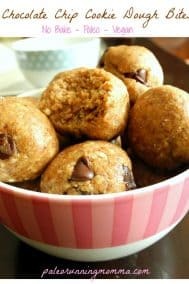 Stir in coconut flour until fully combined, then stir in chocolate chips. Allow mixture to chill in the refrigerator for 15 minutes until you’re able to roll into balls. 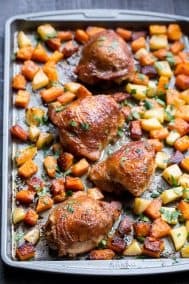 Roll dough into 14-16 balls and serve right away, or store in a covered container in the refrigerator until ready to eat. Enjoy! 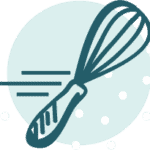 *If after chilling your mixture is still too sticky to roll, add just a tsp more of coconut flour and allow to chill again. A little bit goes a long way! Want More No-Bake Treats? Try One of These! This is a sponsored conversation written by me on behalf of Clovis. The opinions and text are all mine. Thanks for introducing me to a new protein powder! 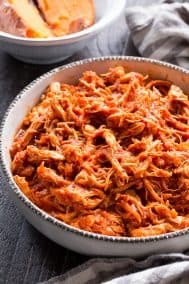 I’ve been looking for one that suits my needs for Paleo and mid to low carb and tastes good. Looking forward to trying this kind out. 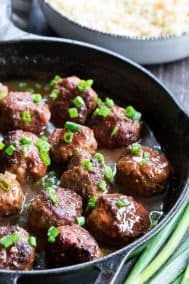 I don’t have dates on hand, could I substitute figs?